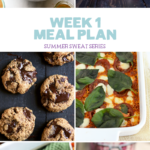 If there’s one thing I’ve been hearing over and over about this year’s Summer Sweat Series, it’s about how much you’re LOVING the meal plans. 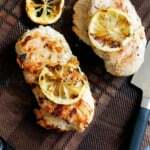 While creating the plan, I thought about a few things: 1) It needs to be as delicious and FILLING as possible, 2) There’s no fun in eating grilled chicken breasts and steamed veggies every day; and 3) let’s just EAT REAL, NUTRITIOUS FEEL-GOOD FOOD! Oh my goodness. 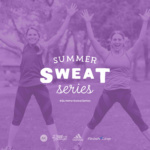 Do you know how amazing it is to hear this incredible feedback about the Summer Sweat Series? I’m beaming with a huge grin, all the way from Europe and some pretty shotty internet. This week’s meal plan is just as incredible as the last! This week Lee’s got all of the workouts you need! Please also feel free to use the #SummerSweatSeries hashtag and we’ll regram our favorites! 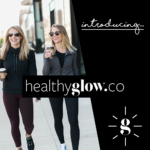 You can take a picture of the recipes you make, your progress, or anything that inspires you to eat nutritious food and get moving. We’re more than halfway through and KNOW you’ve got this. 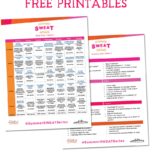 One Response to "Summer Sweat Series 2016: Week 3 Nutrition Plan"